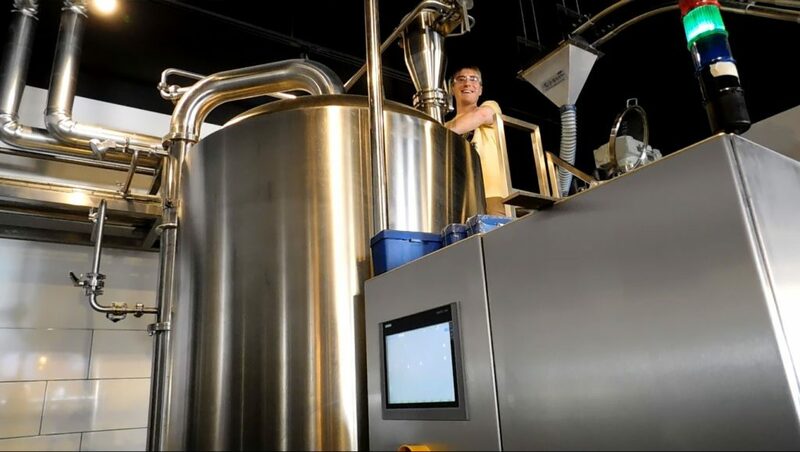 Brewmaster David Harries works in his new brewhouse at Southern Tier’s brewhouse on the North Shore. We know the products of Southern Tier Brewing Company pretty well. After all, with the exception of Buffalo, Pittsburgh is Southern Tier’s best market. But if you think you know Southern Tier inside and out — and you haven’t been to the brewery’s satellite brewpub on the North Shore — you don’t know as much as you think. Among those 30 taps are three that are exclusive to our Southern Tier … and there are more on the way. For me, the prospect of Pittsburgh-exclusive has been the draw since Southern Tier announced its plans for the North Shore spot a year ago. 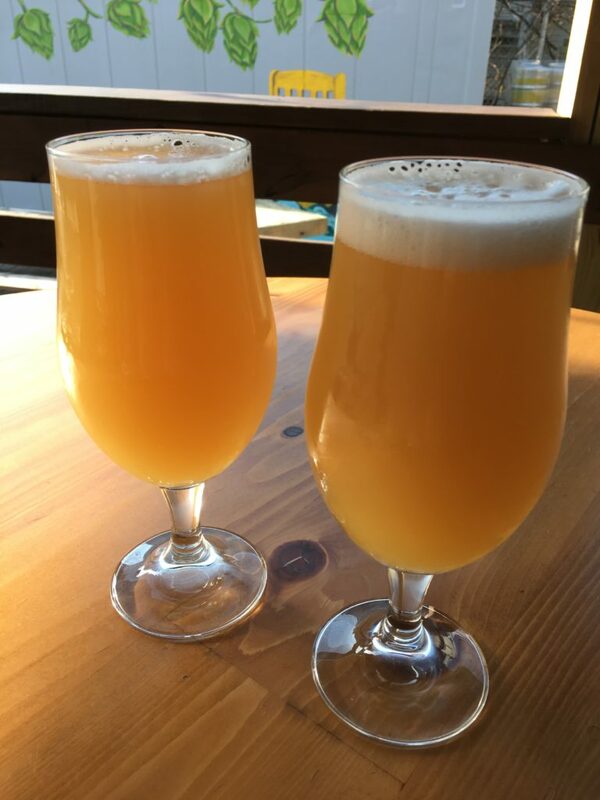 For a long time, I’ve been envious of the folks in Portland, Ore., and the access they have to Fat Head’s beer at the satellite pub there that we don’t see here, and I was hoping for the same kind of fun at our Southern Tier. And with the first three locally produced beers flowing, I think the outlook for that is promising. Brewmaster David Harries — who spent time in the Lakewood brewery as well as working as a distiller at Wigle Whiskey — began with a few that could become staples: a clean golden ale, a silky oatmeal porter and an unfiltered IPA that A) definitely looks like it’s been filtered, a product of Southern Tier’s house yeast strain, and B) is a piney, resin-soaked West Coast old school IPA — a great counterpart to Southern Tier’s citrusy Nu Skool IPA. 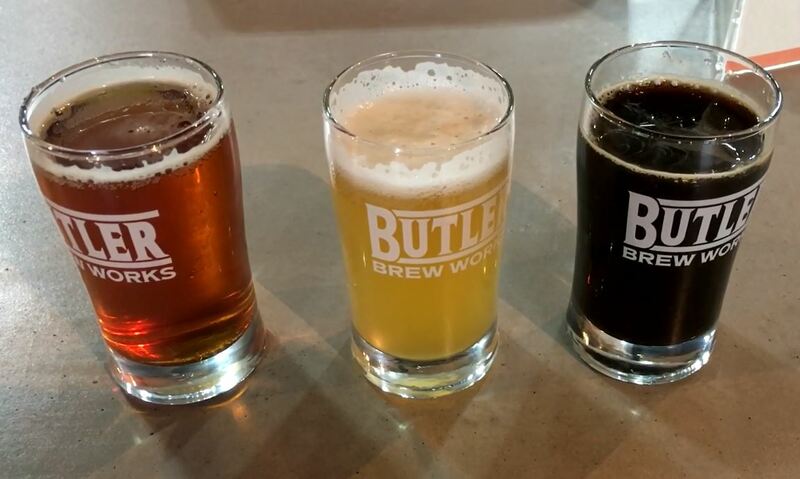 Mr. Harries said that in addition to setting up a consistent lineup here — his goal is to have four locals on at all times — he’ll work with the brewers at the mothership in Western New York to experiment with styles or variations that might get big-brewery treatment later on. That kind of freedom is the byproduct of working on a smaller system — 8.5 barrels versus 110 — and we should be beneficiaries. What else should you expect from the brewpub? A warm appearance, excellent pub food, a selection of STBC swag — including black and gold branded items — and plenty of cold beer to go, in growlers, bombers and six packs. And as anyone who has visited the pub since it opened in late January, you should also expect a crowd — it’s popular, and for good reason. One thing is for certain — Andy Kwiatkowski won’t be bumping his head on the ceiling at work any longer. For almost three years, knots on his head have been a occupational hazard for Mr. Kwiatkowski, the head brewer at Mt. Lebanon’s Hitchhiker Brewing Co.; that’s understandable when your brewhouse is stuffed into a basement with a low clearance. 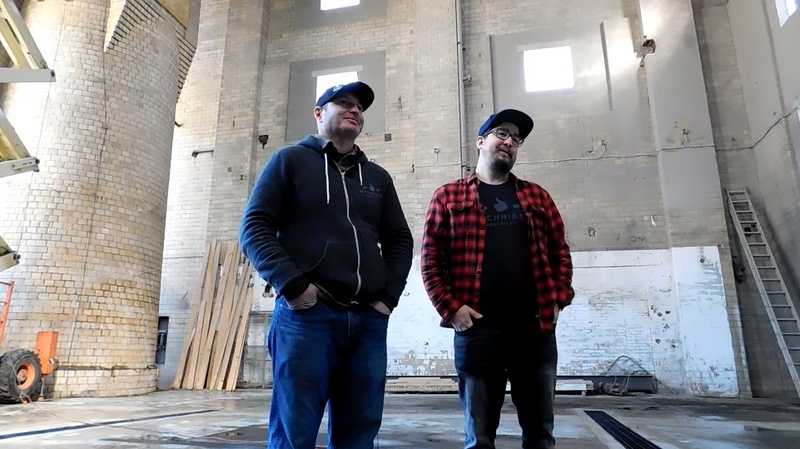 But when Mr. Kwiatkowski and Gary Olden, Hitchhiker’s owner, move into new digs in Sharpsburg later this spring, ceiling clearance won’t be an issue; the new brewhouse will be assembled in what had been the power plant of the old Fort Pitt Brewery complex between South Canal Street and Marys Avenue, and as you can see in the photo of Mr. Olden and Mr. Kwiatkowski, there is plenty of room. That additional space will be helpful in another way: increased capacity. The Mt. Lebanon location is home to a three-barrel brewing system; in the Sharpsburg space, that gets bumped up to 15 barrels, which will allow Mr. Kwiatkowski to brew enough beer to serve two taprooms and still have plenty left over to sell to other accounts. And once the brewing actually begins, some of the new space will be filled with barrels … and they’ll be filled with sours or other barrel-aged projects that are Mr. Kwiatkowski’s real passion. And that’s just the behind-the-scenes part of the expansive property. One the taproom is ready you’ll be welcomed by a 35-foot bar and an array of tables. It should be summertime when the space is ready, so Hitchhiker should be able to make good use of the large outdoor space behind the building. And as it does in Mt. Lebanon, there will be a limited food menu, supplemented by occasional food trucks. The new brewery is a bonus for Sharpsburg, which welcomed Dancing Gnome just last year. Mr. Olden said the borough was welcoming and easy to work with — a nice contrast to previous expansion efforts that ended in frustration with Pittsburgh’s city government. I’ve noticed a serious lack of palm trees in the Pittsburgh beer scene. That’s not the case in Playa del Carmen, a fast-growing city on the coast in Mexico’s Riviera Maya region; in fact, there are several palm trees just outside the front door of Carmen Beer Co., the city’s first craft brewery. The other cool part? Carmen Beer Co. happens to be owned and operated by a Pittsburgh native. In his travels as a beer judge, Jeffrey Michael was surprised to find a couple years ago that the scene in Mexico was just getting started — somewhere south of 200 craft breweries — while the number back home was ballooning towards 5,000. 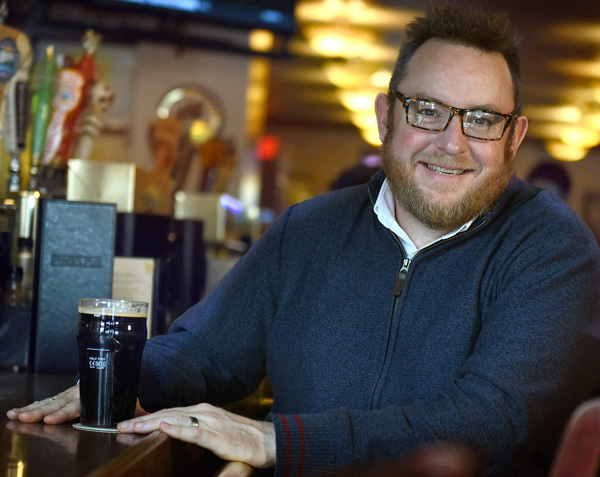 Those numbers, he said, made sense to someone who was considering starting a brewery, and he found a spot in a strip mall big enough to host a brew house and a good-sized tap room in the front of the house. It took some work to reach his opening day — importing a brewhouse, tracking down supplies and building out to the unique specifications of a brewery all take time, especially when you’re communicating in two different languages. But once Carmen opened its doors five months ago, it’s gone well, Mr. Michael said; he’s selling all the beer he makes, and he’s already found loyal customers among tourists and locals. There have been some bumps along the way. Local bars often don’t have draft systems, presenting a challenge for a brewery that doesn’t package. And as is the case in the States, it can be hard for a small brewery to compete with ubiquitous brands like Cornona or Modelo when it comes to establishing a foothold in the region’s hotels and resorts. But there have been nice surprises as well. In a city where the average high temperature in the dead of winter is 84 degrees, the brawnier styles — a barleywine and an imperial stout were both on when I visited last week — have not only been accepted but are among the most popular styles Carmen produces. And Michael said he’s starting to get inquiries about getting his products into the hands — and glasses — of the region’s tourists. Here in Pittsburgh, we sometimes avoid crossing rivers, even if there’s good beer on the other side. And yes — getting to Playa del Carmen means crossing many rivers, not to mention a good bit of the Gulf of Mexico. 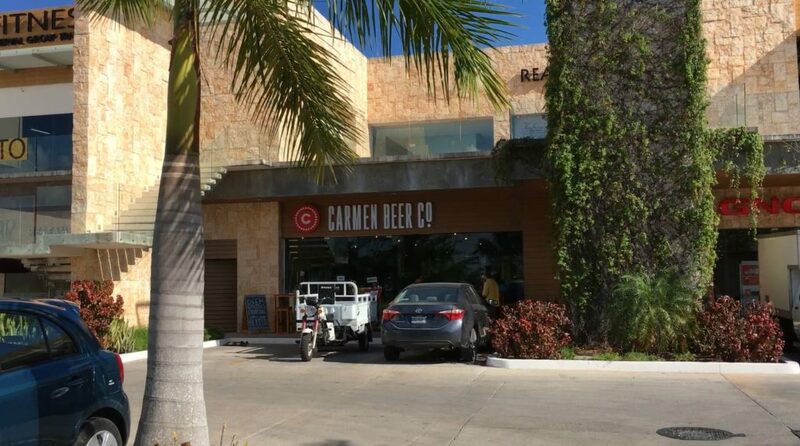 But if you’re in the Riviera Maya, make sure you plan a stop at Carmen Beer Co. for a taste of home on the Caribbean Sea.